Recognition of Customary Marriages Act 120 of 1998: In Ramuhovhi and Others v President of the Republic of South Africa and Others 2018 (2) SA 1 (CC) on 30 November 2017 the Constitutional Court declared s. 7 (1) to be constitutionally invalid. The declaration of constitutional invalidity was suspended for 24 months to afford Parliament an opportunity to correct the defect. 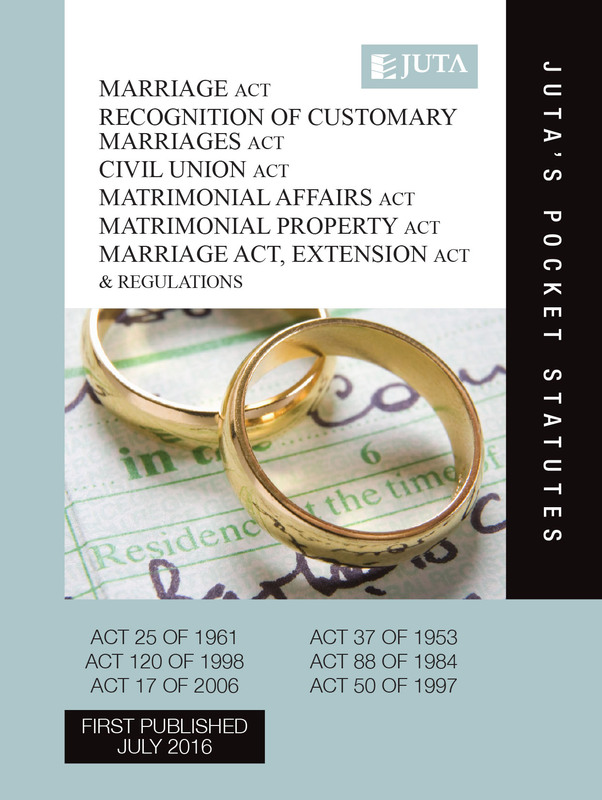 During the period of suspension, the court defined the regime which will apply to polygamous customary marriages concluded before the Act came into operation. In the event that Parliament fails to address the defect during the period of suspension, this regime will continue to apply after the period of suspension. Any interested person may approach the Constitutional Court for a variation of the order in the event that she or he suffers harm not foreseen in the judgment. See the judgment for the regime.